I have a ACZ license and looking for Saturday Sunday work and got license in manual. 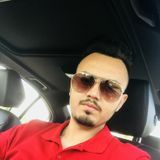 Want to connect with Chamanjit? I am looking work for Saturday and Sunday. I also have a open work permit.